Welcome to the April edition of the Microsoft Imagine Academy (MSIA) Newsletter! New and expanded professional development (PD) courses are now available to educators! These courses are offered through both the Microsoft Imagine Academy (MSIA) and Microsoft Innovative Educator (MIE) program sites. Courses range from an estimated 1 hour to 3 hours in length. Some feature lessons on tools like OneNote, Sway, and Office Mix, while others are more pedagogy based and designed to teach you how to integrate technology into your instruction. Courses are also available for Microsoft Office Specialist, Microsoft Technology Associate, and Microsoft Certified Educator certifications. Vouchers to take the MOS, MTA and MCE certification exams can be obtained through the MSIA member website -> Educator Development. We encourage you to get started today! 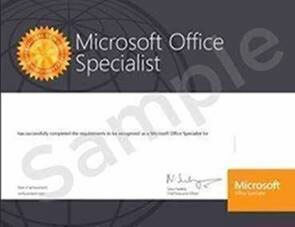 For the lowest Microsoft educational prices, academic institutions (including K-12, Higher Education, Libraries, and Museums) are eligible to purchase Microsoft certification exams through volume licensing for Microsoft Office Specialist (MOS), Microsoft Technology Associate (MTA), Microsoft Certified Educator (MCE), and Microsoft Certified Professional (MCP). The exams purchased are available for use by students, educators, and staff. To order exam licenses via the Microsoft Volume License agreement (where available) and receive the greatest discount, contact your Microsoft Authorized Education Partner. If your institution does not have a Volume License agreement, you can order individual discounted MOS, MTA, and MCE exam vouchers directly from Certiport. When contacting Certiport, specify that you are from an academic institution to get the appropriate discount. You can order individual discounted MCP vouchers directly from Pearson VUE. Students can purchase exam vouchers by going directly to Certiport for MOS, MTA, MCE or to Pearson VUE for MCP. Students will need to take their certification exam at an authorized testing center. As an MSIA member institution you can either register to become a Certiport Authorized Testing Center (CATC) and offer exams on-site or your students can locate the CATC nearest them to take their exam. Find out more about becoming a CATC here. Find a testing center for MOS, MTA, and MCE exams by going to this Certiport Authorization Testing Center Locator or select this link for MCP exams. Help your students get certified! Microsoft certifications are evolving to meet demands for today’s current employment opportunities. Microsoft Office skills are in demand and certifications make a difference in getting hired and starting salary. Have you ever wondered just how much you can earn? 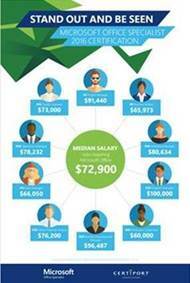 Salaries for jobs requiring Microsoft skills can be as high as $80,634! Download, print, and distribute the Stand Out and Be Seen MOS Job Salary poster. Administrators, educators, and students will be excited to learn about the value of their hard work! 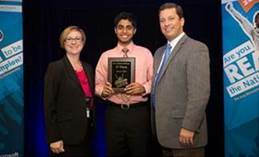 Ali Kahn, a Cary, North Carolina (USA) native, competed in the Microsoft Office Specialist (MOS) US National Championship three years in a row: 2013, 2014, and 2015. He earned two bronze and one silver medal over the three years. His drive and certifications have now taken him to places most students can only dream about. Throughout his college experience at Purdue University Ali used his MOS certifications to complete assignments and to help him get interviews for internships and jobs at multiple technology companies. MOS certifications helped land him an internship at Amazon headquarters in Seattle, Washington, and now as a full-time employee at Amazon Lab126 as a software development engineer. Learn how Kahn turned his MOS certifications into a career by going to his Certiport interview here. Want to learn more about the competition? Help your students get certified and prepared to compete in the MOS Regional Championships! Find out more at the official Certiport MOS Championship site. Massachusetts Institute of Technology (MIT) is considered one of the top universities in the United States. Getting accepted is definitely not an easy task; in 2016, only 7.9% of applicants were accepted. Basically, overcoming the odds and being accepted is no small feat. 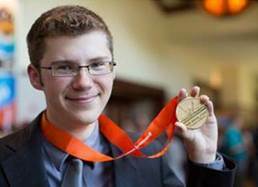 Just ask former Microsoft Office Specialist (MOS) World Champion, Tyler Millis. Tyler is an exceptional student. Most importantly though, he has an exceptional drive to succeed and get the most out of his certifications. Find out how Millis used his certification to get into one of the world’s most prestigious universities and what he plans for his future. Go to the Certiport blog to find Tyler's story and others. Are your students interested in competing? Help them get certified and prepared to compete in the MOS Regional Championships! out more at the official Certiport MOS Championship site. All workers will need to adapt and learn new skills over their careers, but some skills stand the test of time. Because workers can use these skills to navigate transitions across virtually any industry, these “transportable skills” learned in K-12 programs have lifelong value. 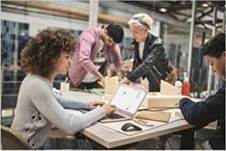 In a new report, “The Power of Transportable Skills: Assessing the Demand and Value of the Skills of the Future,” Project Lead The Way and Burning Glass Technologies examine workforce demand for five transportable skills taught to millions of students each year in PLTW PreK-12 programs: collaboration, problem-solving, critical and creative thinking, communication, and ethical reasoning and mindset. We weren’t surprised to learn their research found that “transportable skills” are most valuable when combined with technical capabilities and are in especially high demand in STEM-related fields. Help students master these skills and find ways to demonstrate proficiency for higher education and prospective employers. Integrate them into curricula through the use of your Microsoft Imagine Academy member benefits and certifications. Learn more about “transportable skills” and how to integrate them into every day STEM instruction; download the full report today.